There is an amazing reaction that occurs when two professional choirs come together on stage. It's like combining the right musical components in the optimum conditions for an amazing musical explosion. It has been a long time since I've been swaddled by so much amazing sound and supported by so many sensitive and experienced musicians. As well, whenever you pair together two like entities, there is a human tendency one cannot resist: comparison. Whether we admit it or not, we all do it. 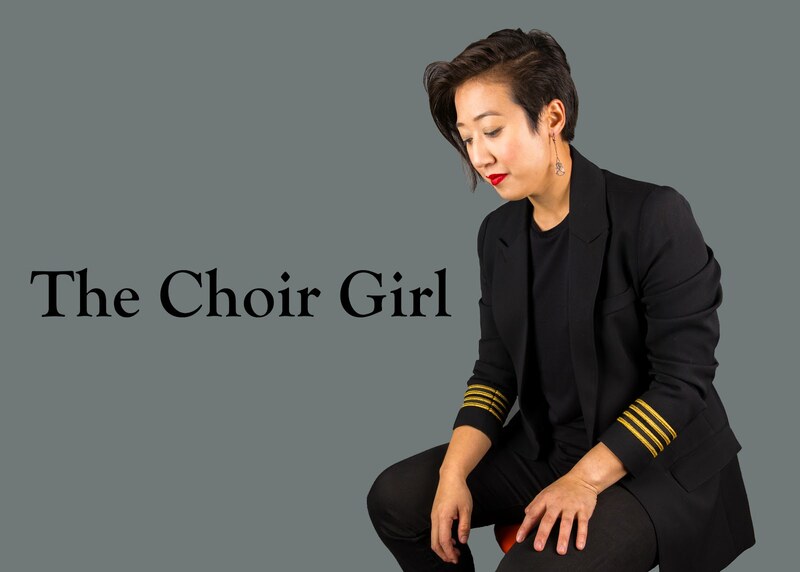 I approached the inevitable aspect of choral comparison between Pro Coro and the Vancouver Chamber Choir, not from a perspective of competition, but with an air of objective curiosity. 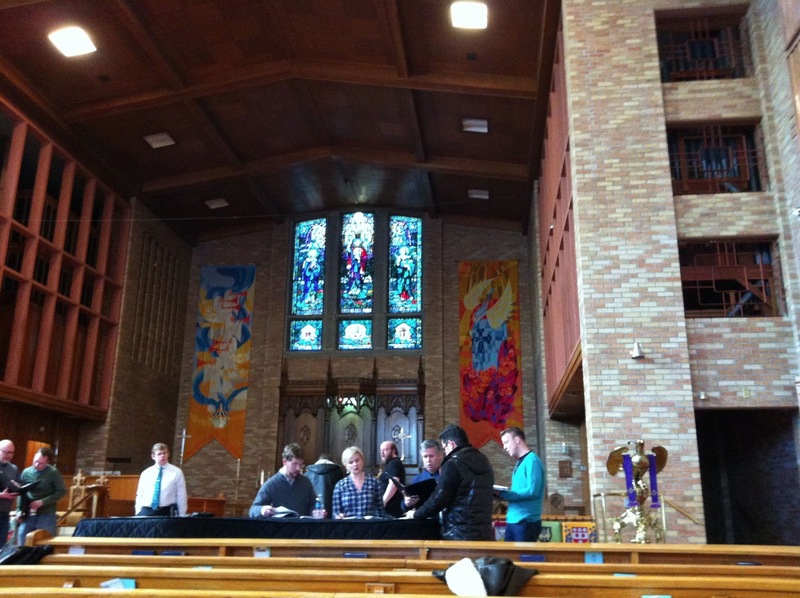 What makes these two professional choirs in Canada different? Multiple factors come to mind but an important area to consider is the Artistic Directors of each of these respective groups. 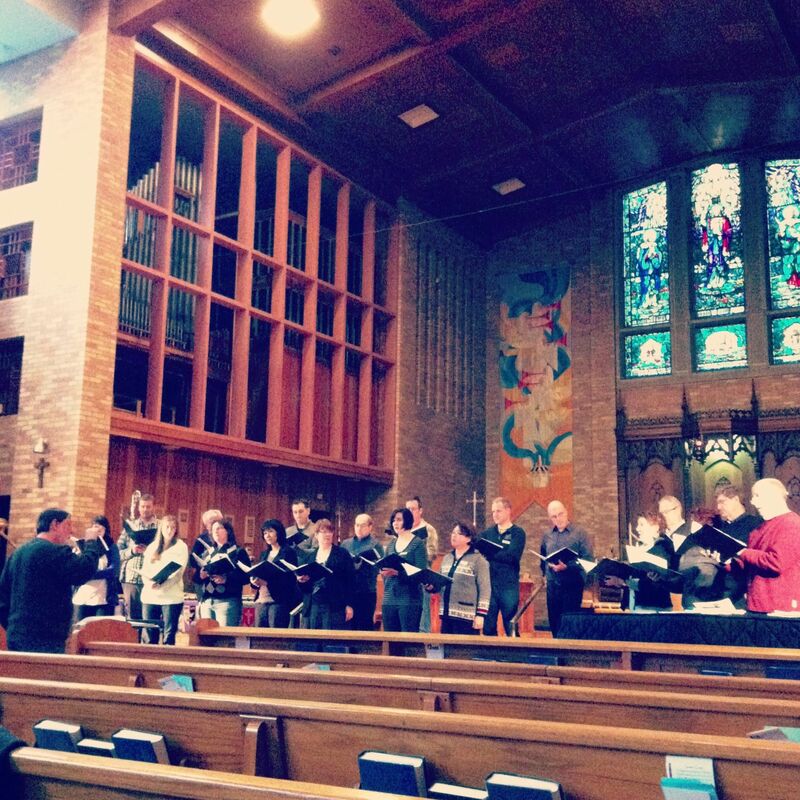 The Artistic Director of the Vancouver Chamber Choir, Jon Washburn, is actually the founding conductor. The choir formed in 1971. Michael Zaugg is currently in his first season with Pro Coro Canada. If we had to compare groups on overall choral sound, the Artistic Director's gestural voice and vision really distinguish the sound of these two professional groups. As I watched the Vancouver Chamber Choir sing from the balcony of All Saints Cathedral, I was just in awe of their cohesive sense of ensemble. They perform with an impermeable sense of familiarity and you can sense that they can finish each other's musical phrases if they needed to. They executed their pieces with precision, professionalism, and cheeky wit when required, echoing the gestural voice of Washburn. Due to the fact that Zaugg is in his first season with Pro Coro, we're still in the getting-to-know-each-other phase. Our sense of ensemble isn't the same because we're experimenting with our sound and how to interpret different gestures. It's such subtle detail work but it makes so much difference in our sound as a group. Depending on the gestural attack Zaugg signals to us, we either go with a hard glottal, easy glottal onset, or breathy onset in the beginning our Uģis Prauliņš "Hallelujah" section of "Laudibus In Sanctis." It allows me to speechie geek-out as I consider the different diacritics to apply to the "Hallelujah." A Pro Coro Quartet running a section from "Laudibus In Sanctis." Sunday's "Canadian Connections" performance resulted in many musical reunions, new choral friendships, and a chance to do what we all love together: sing. It is a rare opportunity and luxury that I do not overlook. 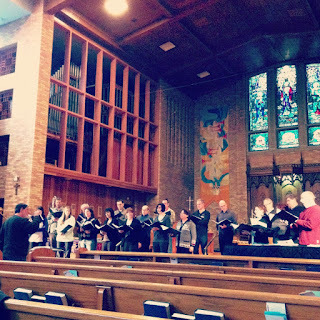 I wish the Vancouver Chamber Choir all the best as they continue their tour to Humboldt, Regina, and Calgary this upcoming week. You can read along in their touring adventures on their blog. 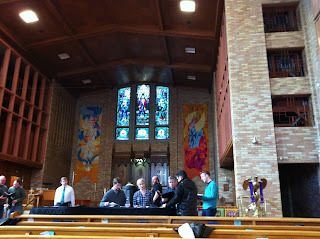 Strangely enough, as the Vancouver Chamber Choir heads to the prairies, this Choir Girl is headed to Vancouver! 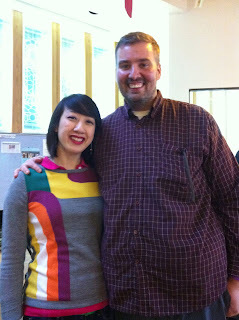 Though I am traveling there for my Speechie interests, I have a choral project lined up, such as a visit to the Vancouver Canata Singers rehearsal on Wednesday night to chat with Missy, creator of the viral "Sh*t Choristers Say" video. Stay tuned for more posts and follow me on Twitter for travel updates. How long are you in Vancouver? Elektra Women's Choir is presenting a fabulous concert on Saturday the 9th!! I wish I was still in YVR! I'm back in Edmonton now. I hope to catch an Elektra concert in the future!